Every year, countries across the world welcome Christmas festivities, immersing their cities and historical squares in lights, Christmas trees, and markets. India Outbound takes a look at the various Christmas markets around the world to get you into the holiday spirit. The Christkindlesmarkt Christmas market is laid annually in Nuremberg, Germany, where the central square and adjoining squares and streets in Old Town are enthralled with millions of visitors each year. One of the largest Christmas market in Germany and amongst the most famous ones in the world, it opens on the Friday preceding the first Sunday in Advent (the four weeks leading up to Christmas) and ends on December 24, unless it is a Sunday. According to historiographers, the market has its origins at the weekly market between 1610-1639 and that it gradually evolved into an independent market. Christkindlesmarkt is all about Christkind (traditional giver of gifts at Christmas time), which is a centuries’-old tradition in Nuremberg. The Christkind is admired among local children, for it is she, who brings the Christmas presents and symbolises hope and love throughout the festive season. 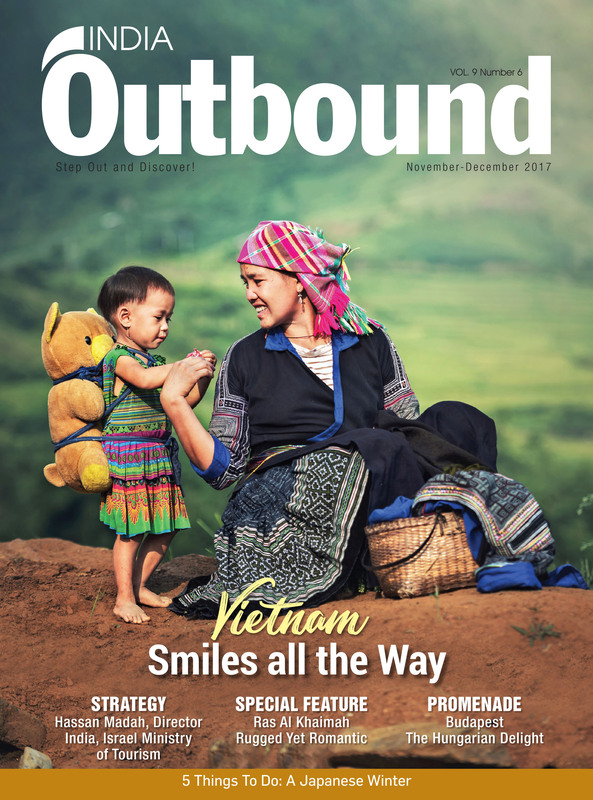 The Christkind is always a young girl aged between 16-19, and is selected from a short list of six nominees – passing a strict election process that involves the public and local departments, including the tourism board and the State Opera House. One of the highlights of the market is that, there’s delicious food around every corner, and every year, ceremonies are held to celebrate the launch of the festive season, which is a deep-rooted tradition at the place. Christmas markets in Vienna are an age-old tradition. 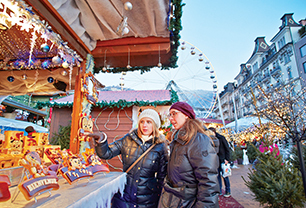 The Austrian capital’s first Christmas market was held in 1298 and today, the city has more than 20 Christmas events to choose from. However, the Viennese Christmas Market in front of City Hall remains the most famous of them all. It runs until Christmas Eve, with around 150 stalls serving everything from Christmas boozes to Austrian sausages.A huge skating rink is part of the attraction of Vienna’s Christmas Market for skating; reindeer rides for kids and a classic nativity scene. Only a few cities manage to do the festive spirit like Vienna, which hosts one of the most traditional Christmas markets in the country. England attracts thousands of visitors to its markets each year, one of them takes place in the city of Bath – with more than 200 wooden chalets queued in the inner city, packed with Christmas gifts, food and beverages, and much more. 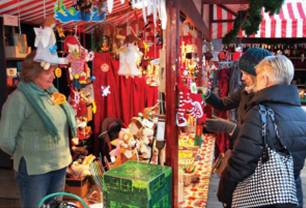 The market sells local Christmas gifts, over 90 pc of which are handmade by stallholders in Britain or abroad with a fair-trade certification. Bath Christmas market sets itself unique by maintaining traditions. When in the market, indulge in the finest mulled wine made with locally sourced ingredients, along with the numerous activities like ice-skating or bathing in the warmth of United Kingdom’s (UK) only natural thermal day spa. Now in its 17th year, the market has grown to become the UK’s favourite. During winter, Hong Kong shines with more lights than usual, as buildings set up for the festivities. Throw the Hong Kong WinterFest into this setting and the result is a treat for the eyes. With a breathtaking viewpoint over Victoria Harbor and gigantic skyscrapers, the WinterFest Market is integrated into the city’s glamorous surroundings. 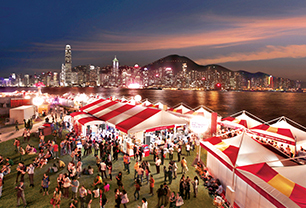 Providing a unique fusion of western and eastern festive traditions, including a classic Christmas tree under the iconic Statue Square Park, the fest ensures that Hong Kong is one of the best places in the world to celebrate the Christmas season. Sample the traditional winter delicacy of congee (rice porridge) or stay during the New Year for bigger treats with a spectacular countdown met by an explosion of fireworks over the bay. Now in its second year, Montreal’s Grand Christmas Market is a must-visit event, featuring a magical setting and a host of lively activities. 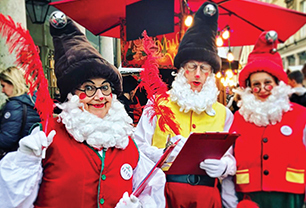 With canopies, traditional log cabins, play areas for kids, refreshment stands and tasty delights, the market is a treat for kids, with an elves’ workshop, Santa’s sleigh and an igloo. Along with a variety of activities, one can lay their hands at the wooden houses plying their wares, from warming winter drinks to essential Christmas handicrafts. The market closes on Christmas Eve but it reopens a week later to celebrate the New Year with local DJs as the clock strikes midnight. Christmas markets in Prague open every day for two months including the Christmas Day, until after New Year. 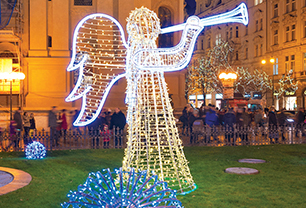 No city lends itself to the Christmas celebrations like Prague. The city’s two main Christmas markets –one in Old Town Square and the other in Wenceslas Square – are only five-minutes away from each other. Each has the usual wooden huts but the Czech treats are what really set them apart. The Christmas market at the Old Town Square also has animal stables, where children can stroke sheep, goats and donkeys, along with a huge Bethlehem scene depicting Mary, Joseph, baby Jesus and the Three Kings in a wooden stable. A huge Christmas tree is transported from the forests of Central Bohemia and little stalls are nestled around the Jan Hus statue dominated by the Christmas tree, which is lit every evening around 5:00pm, with Christmas concerts and short plays performed in the open air.